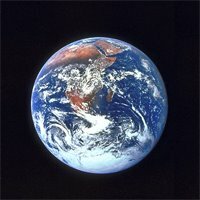 The Earth is 4.5 billion years old. This means that billions of years before humans put in an appearance, the climate on this planet was doing something utterly natural – it was changing. Continents were forming and shifting. Glaciers were freezing and melting. Sea levels were rising and falling. Forms of life were emerging and then going extinct. Humans have been around for a mere 250,000 years. The ancient Romans invaded Britain with spears and swords 2,000 years ago. Aristotle – who died in 322 BC – was no fool. Nevertheless, he believed the Earth was the center of it all. The sun, moon, and stars all existed because we did. This was such a compelling idea that, when Galileo was born in 1564, people still believed it. These days, we know this isn’t so. Yet, deep down, we still think we’re the only thing that matters. Whatever changes are now occurring on a planet whose climate never stays the same must have something to do with us. How could we not be the reason? We’re so certain of this we’ve spent billions of dollars investigating pretty much only this explanation. Curious, isn’t it? This entry was posted on April 24, 2009 by Donna Laframboise in historical perspective and tagged Aristotle, Galileo, historical perspective.